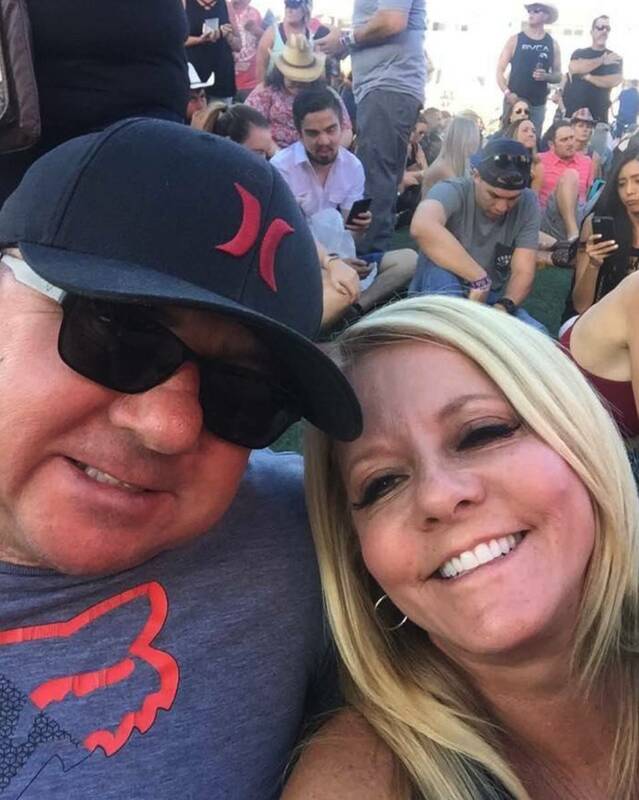 MURRIETA, Calif. -- A husband and wife from Southern California who survived the mass shooting at a Las Vegas music festival in early October died in a car crash, the Las Vegas Review-Journal reports. On Oct. 16, two weeks after the shooting, Dennis and Lorraine Carver were killed when the vehicle they were in crashed into a metal gate outside their home in Murrieta and burst into flames. Brooke Carver, the couple’s oldest daughter, said her parents, who had been together for 22 years, had grown more in love after the shooting. Stephen Paddock fired from his 32nd-floor suite at the Mandalay Bay Casino and Resort and Casino on Oct. 1. Dennis Carver jumped on top of Lorraine Carver to shield her from bullets. They were able to run away from the shooting and were not injured. In all, 58 people were killed and 527 were injured. Paddock was found dead in the suite of an apparent self-inflicted gunshot.